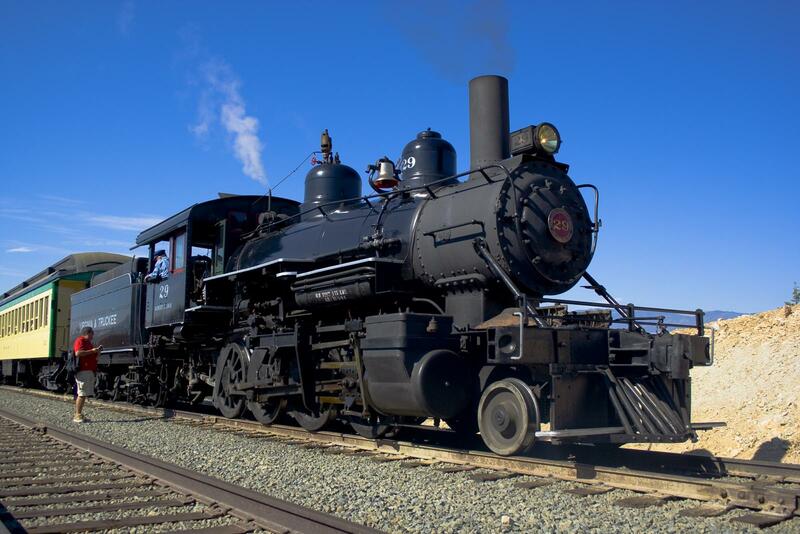 This weekend is the first official runs of the V&T Railroad between Carson City and Virginia City. On Saturday morning steam engine #29 will pull into Eastgate Station to kick off the 2010 season. It’s not the actual first train of the year, there have been a couple of special excursions already. But this is the first big one that you can walk up and buy tickets for. This year they decided to go after an aggressive schedule, with steam trains on both Saturday and Sunday every week, and diesel trains on Thursday and Friday. They’ve slowly been backing away from that plan, though, due to lack of interest from the actual paying public. They have already canceled all of the Thursday diesel runs, just kind of quietly removing them from their website. The first run of the year was actually supposed to be tomorrow, a Thursday morning diesel trip. But then they canceled all the Thursday diesel trips, and then they canceled this Friday’s diesel trip, and that brings us to Saturday’s steam trip as the first one of the year. Virginiatruckeerailway.com has been keeping track of this whole roller coaster over the weeks, and also keeping track of how many tickets are being sold. He makes the point that Saturday’s trip should have been sold out for weeks now, if not months, just because it’s the first trip of the year and everyone would want to get on that one. But still, he points out, fewer than half of the tickets for that trip have been pre-sold. Which is good news for people who just want to go down and buy tickets at the station that morning, but not good for anyone who wants to see this train be a success. Also disturbing is the 4th of July train, which should also be close to sold out by now but has only sold 6 tickets. The Carson City Convention & Visitors Bureau is also having a contest to win a pair of tickets on the train this summer. So that will be at least two riders.